Say hello to Sam. 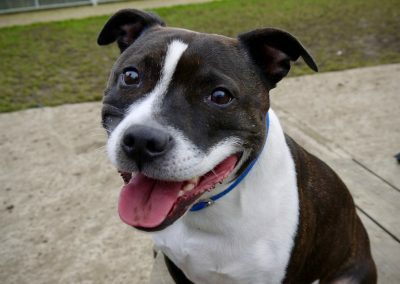 Sam is a typical Staffie, loves human affection and wants all the attention for himself. 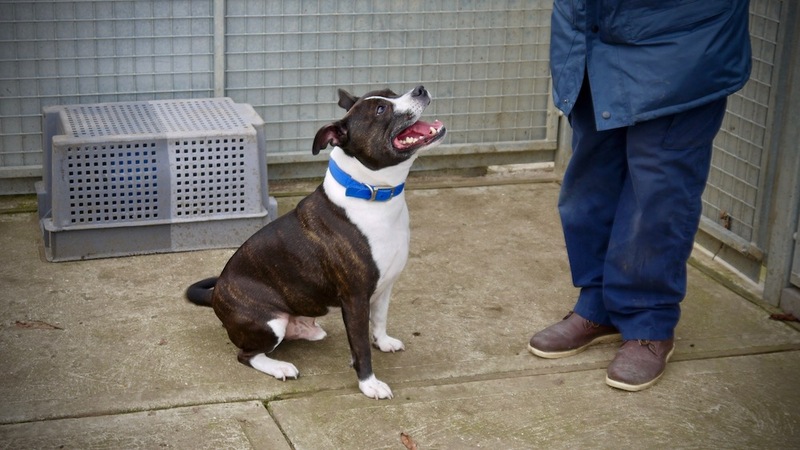 Poor Sam is not happy in kennels, he’s sad and wishes he could be in a home spending time with someone who has had experience with Staffies. 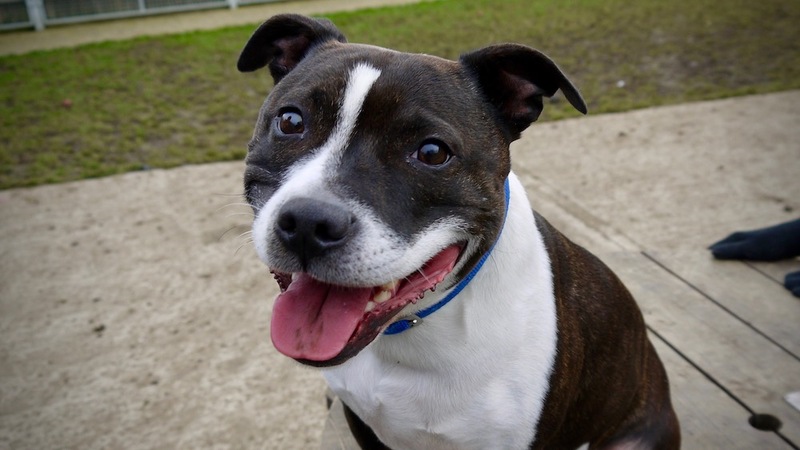 We don’t think Sam is used to being left so we are looking for an owner who is there for the majority of the days and who are willing to work with him and can gradually teach him that it’s ok to be left. 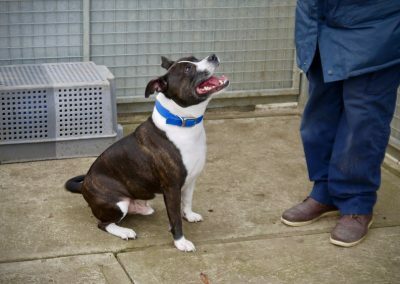 Sam is a bit reluctant to walk so we encourage him to get moving by taking other doggy friends from the centre along with him, this seems to get him moving. Sam will need daily walks in interesting places to keep him interested in getting out and about. If you are interested in offering a Forever Home to one of our animals, please read the Rehoming Guides & Application Forms page.You can apply by completing the relevant online adoption form, fill in the required boxes on screen and then click send at the bottom to email it to us at: receptionrspcanorfolkwest@gmail.com. Please note all email correspondence is only stored for 30 days.Alternatively please call our Office on 01553 618889 during opening hours (Mon-Sat 11am-3pm) and complete a form over the phone.